Free Level Editor - Page 2 — Welcome to the GameSalad forum! I love this tool! Unfortunately some of the scenes in some of my projects just won't open with it. Not sure why! Also I finally got a chance to test it on Windows. It works just fine. All you need to do is to download the windows.zip (and jre if you don't have), unzip and run the "start.bat" to launch it. Neither. It just doesn't open. 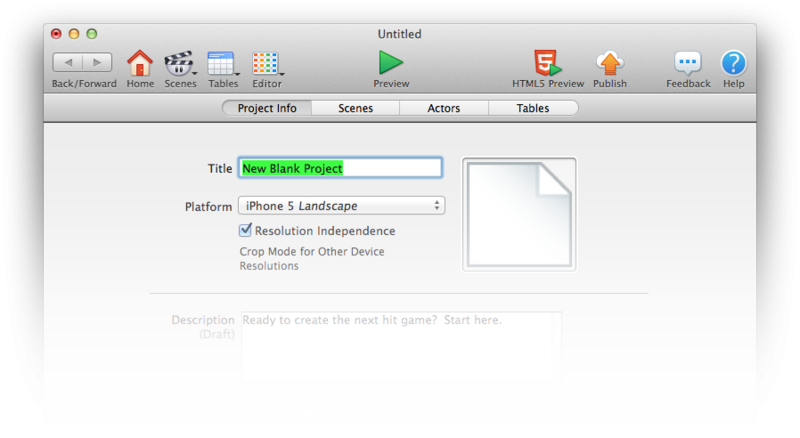 I can only open one scene in the project. I'll try to get you a project file but it's a client project so I'll need to get permission first. Alright. Is it the first scene in the project that opens? What version of GS are you using? 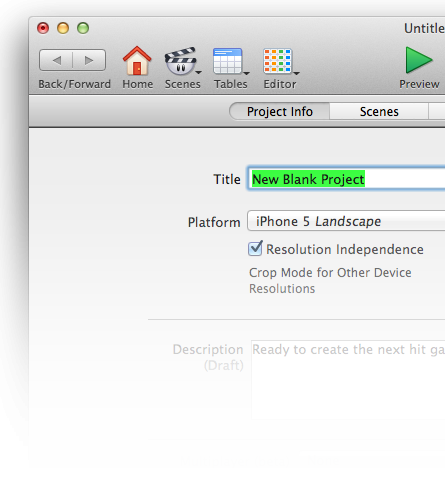 This should only happen when you open the project in LevelEditor and change the order of scenes in GS. Is that the case? You need to reopen the project in LevelEditor to update the scene selection window. I hope it's near the top of their list of priorities, though Perhaps they can work with Manto to adapt this one into an official tool! Perhaps they can work with Manto to adapt this one into an official tool! Yeah, you could have a button in the tool bar that opens the current scene into the Editor and a button in the Editor that returns to Creator, these would take care of the saving and opening and closing and reverting processes you use to jump between Creator and LevelEditor. @Socks Hopefully the work CodeWizard is doing to wrangle the Mac Creator into line will allow them to put some focus into solutions like this. did you make that icon? I'd like to echo what others have been saying here, and really would like to see GS start working with external users/developers like @Manto to integrate things like this into GS as a fully compatible component of the tool. It just seems like such an obvious thing to do... it gives GS long overdue interface/editor updates that we've been arguing for, for years, and it comes in a form that helps alleviate the pressure on the constantly shrinking development team. Surely its better to open up and embrace help, rather than ignore it, or even snub it. Frankly, its an approach that should have been taken years ago... embrace and integrate tools developed by GS users, instead of pushing them away. It's just a quick edit of the Tables icon. Holy shirt, this is freaking awesome! I remember the first version - I didn't expect that you'd improve this tool so much. The idea of incorporating this into the Creator is fantastic (I don't think we'll see improvements of the Creator UI anytime soon). I don't know if this makes sense but improvements to this could to a degree be crowdfunded. What about a patreon where we all could give a few dollars for every new feature/bigger update? I don't know if this makes sense but improvements to this could to a degree be crowdfunded. What about a patreon where we all could give a few dollars for every new feature/bigger update? I thought about this, and actually set up a page for donations, there's a link in my signature. Unfortunately I can't make big improvements to the tool for free, because I need money to live, but I'd like to see you users vote and possibly donate if you want a specific feature to be implemented. So exactly what you're saying sound like good way where everyone wins. Integrating with GS sounds good. I hope they make it possible at some point. I hope there are others seeing the insane potential in this. I don't have a lot of money to spend right now, so naturally I'd prefer a way to give recurring smaller amounts as long as you continue to work on this. But this would of course need others in the community to support this too. I'd love to hear from other users and the GS staff what they think and how your work could be supported. Considering @jonmulcahy just released the first GS game on steam ever and the general state of the Creator this is the chance to finally get a scene editor that actually works for games that are a bit more complex than clickers or simple highscore games. Hi. I opened a couple of old projects of mine. When selecting a scene, LevelEditor loads the wrong one. Is this a new bug? Sounds like the bug jay2dx found. However, I haven't been able to reproduce it, so it's difficult to fix. Do you have a project where the bug exists that you could send? I think I'll sticky this thread so that more people can see it. I'm not sure how feasible integrating this with our codebase would be, but I'll definitely discuss it with the GameSalad staff. @Armelline I found a bug that caused some scenes not to load at all. It's now fixed in the latest version. Let me know if the scenes in your project open now.